Buy this now and earn 159 Dokha Points! The Fadayee White 2 Dokha is a new blend introduced by Abu Mohammed Smoking in late 2017. The blend is a mixture of hot, medium & cold tobaccos, which together give an overall smooth medium smoke. 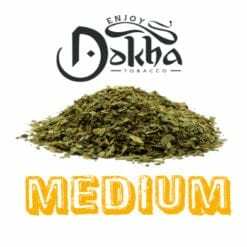 This blend is mixed from the top and middle top leaves, which gain the majority of the sunlight and known as being a top quality Dokha blend. 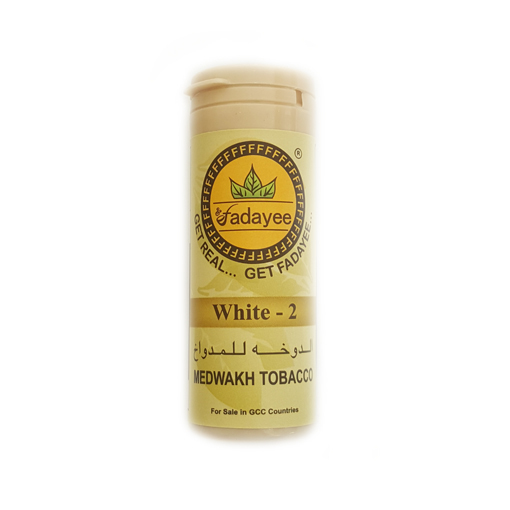 Fadayee White 2 is medium blend chopped very fine – this enables it to burn smoothly with an authentic Dokha taste. The Fadayee White 2 Dokha will give you a medium-strong buzz. 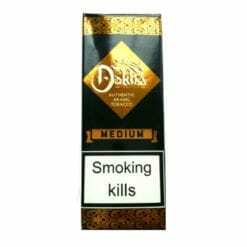 At Enjoy Dokha, we are proud to bring you many different exciting blends such as Abu Mohammed, Scorpion Dokha, Bin Khumery Dokha and Yousef Rida Dokha, Max Time Dokha as well as blends from the local farms. Everything is imported by us directly from various sources in Dubai, United Arab Emirates and the Middle East. Our selection process was not easy, many Dokha blends and Medwakh Pipes just simply did not meet our high standards.